Condensed milk like almost all. But no one knows, buying another jar favorite product, that there really is in its composition? Whether there are any harmful impurities, Does not appear condensed milk is too thin, or not sweet, as we would like? That these issues do not arise, condensed milk, you need to cook yourself. Especially, that with Multivarki it is not difficult. To cook the condensed milk in multivarka, we will need: natural milk 3,5 % – 1 c., sugar - 1 c., 1 Article. Pediatric dry mix or milk powder (cream) natural, without artificial additives. How to cook the condensed milk in multivarka? 1. Milk, sugar and dry mix very carefully using a mixer to mix in a pot, to dissolve all the sugar, and there was no lumps. 2. The resulting mixture was poured into the bowl Multivarki and establish a "Quenching" mode 1 time, if there is a function “Control”, the temperature expose 90aboutWITH, time 1 time. when cooking, every 15 minutes is required to open the lid and stir the contents. 3. After the signal of the end of the program, pour the mixture into a cup and stir again, cool and place in refrigerator to thicken for a few hours. So that no lumps, the best part of the milk beginning to mix with sugar and milk powder, and then diluted with the rest of the milk. Milk is added to the dry product, and not vice versa. In some multivarok mode “Stewing” has elevated temperatures, so, that the mixture did not run, Cook with the lid slightly ajar, and minutes later 20 start from time to time to stir the contents of the. 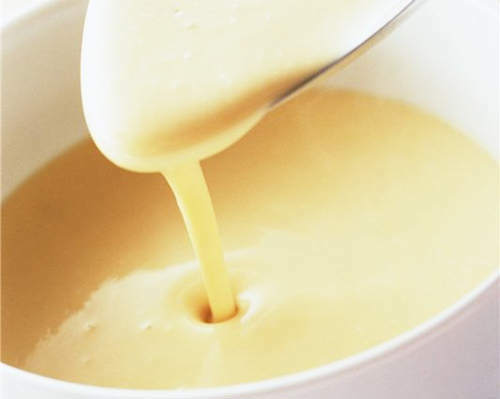 If you want a thick condensed milk, Increase the cooking time. How to cook the sour cream in multivarka? How to prepare marine rice and where to buy? How to drink Mexican tequila? How and with what to drink absinthe? How to cook baked milk at multivarka? How to cook a pizza in the microwave? What can you cook rice in the microwave? How to cook porridge in the microwave? How to cook the soup in the microwave? How to brew coffee without the Turks and coffeemakers? How to brew in a thermos? How to cook a poached egg in multivarka?